So my bro finally gets married, and does so in style (Gungnam style >D) in Bali. First of all I’d like to congratz my bro and Sandra for tying the knot! 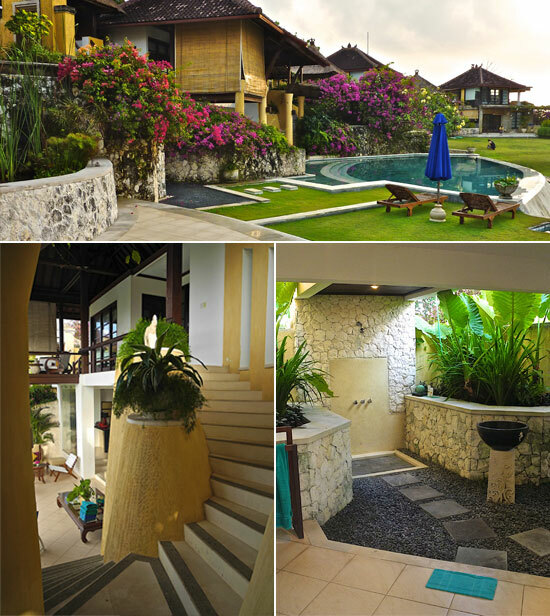 We spent 4 days in Bali with Sandra’s and our family at a really nice villa getaway. It was accommodation like no other. 4 massive double story houses, giant 1000 sqr metre back yard, personal cook, person Rajon Rondo look-alike driver, massive pool and insects. As great as it sounds, it does have it’s downsides. First and foremost the insects! It was like some tropical rainforest, the houses weren’t enclosed aside from the bedroom (which still had gaps through the doors). Meaning all sorts of insects such as mozzies, ants, spiders, bees, scorpions, frogs, geckos, moths etc will get inside. Thankfully, they supplied us with Mortein which did help but oh man, they were everywhere. Then there was the bathrooms, which had a window that passer byers can directly peer in and see you! So everyone used the bathrooms upstairs which were fully enclosed. Chibi was so freaked out she could barely sleep lol. I think to get through this challenge, you have to become one with nature. You know? pretend you’re a local, let the ants crawl on you, let the gecko’s eat the mozzies, let the ants eat the dead insects. After a while you realise it’s just part of nature, a food chain for survival and the humans are on top of it. After staying in Shibuya for a couple days we finally did some proper travelling. I was really excited to see what other parts of Japan looked like. Shibuya blew me away in every aspect. It felt like a perfect city. Clean, friendly, interesting street layouts, funky shops, and a HUGE selection of restaurants and cafes. I even took some time to have a stroll around the neighbourhood whilst Chibi was still in Harajuku, wondering around mindlessly and just observing whatever I came across. It was like a real life theme park. One thing I noticed though is that everyone was like a janitor. There was always someone washing the street, sweeping the floor or wiping a window. Well that’s Shibuya, it has certainly set the standard! But it was time to move on. We will now depart Tokyo and start making our way down south. 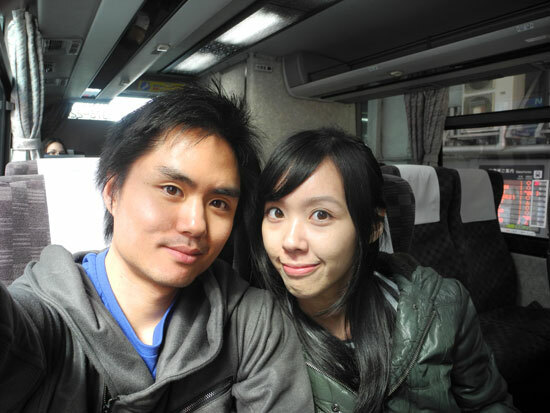 We hopped on a highway bus at Shinjuku, bound for Kawaguchiko (one of the 5 lakes around Mount Fuji). I still can’t believe the time has come. At last, after 2 years of planning, a lifetime of waiting, I am off to Japan tomorrow =). I can’t describe how I feel, but somehow I feel like its some kind of turning moment in life. How do I put it? I guess you could say my Pre-Japan vision era is almost finally over. The “I’ve never seen, been, felt the way of Japan” can no longer be said. It’s like I’m finally watching the last episode of Fate Stay Night!. In a way I feel sad, but I know I won’t be afterwards. Because I’ve always believed Japan is a wonderful place. But I’m setting my expectations back to neutral gear. I’ll just absorb, take in what I see and appreciate it. I feel like I already know the place as I’ve done so much research on it already. It’s almost as if I’ve already been there. But I’m not gona think about it too much. Just gona enjoy what Japan has to offer and really just go out there and discover it for myself. 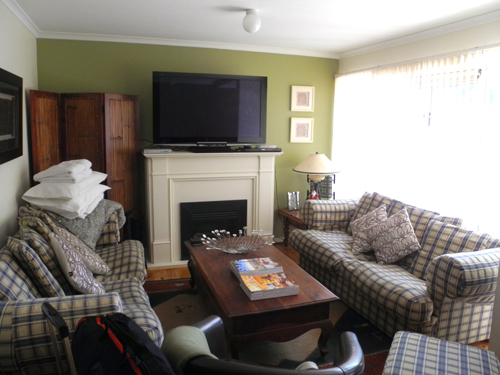 Our cosy holiday house - Lounge area. Also Burpy and MZ's sleeping couches. I shall also write a reflection of 2011 entry and see what’s in store for 2012. Become even stronger, work even harder and more frequent at the gym than ever before – became a little stronger, but wasn’t enough! not quite satisfied. 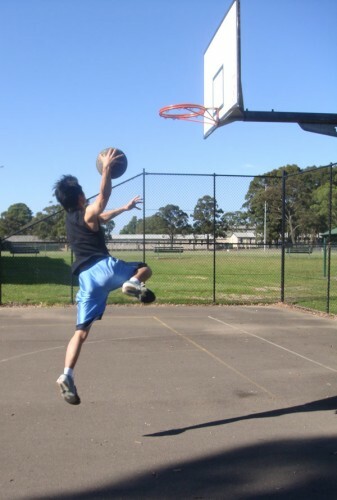 Stay healthy all year long – Was fairly healthy throughout the year. Just a light cold here and there. Improve sitting posture – Not sure about this one, but at least I tried! Perfecting my ultimate Salad – Failed. Sorry to keep you waiting chibi! Prepare for upcoming Japan trip (learn some japanese!) – Unfortunately this was planned during the quake period. Been so busy lately that I havent been working out much. Will try to play squash every week and hit the gym more often. only half a year left till I’m 25 so I gota get my body pumping as much as possible! Currently playing Zelda Skyward sword , my first Zelda game. 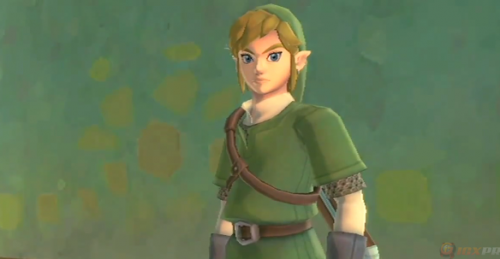 If you don’t know yet, Zelda is that cute female goddess character, Link is the name of the guy with the green outfit and sword =P. I must say, this game is truly amazing in every aspect. I always wondered why Zelda was such a popular game. I now know why. 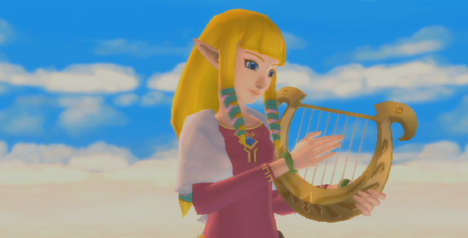 Good games these days arent about graphics, but the gameplay, Zelda excels in both! and brilliant story on top of this. I havent played a game this good since FF7 i reckon. Will start planning for the Japan trip. Really inspired by Markuz’s trip that I’m planning to stop by HK with Chibi for 1 week and do some crazy shopping. This trip will be the highlight of 2012, I just cant wait!! Will begin Project EX-S stage 2 shortly. I’m really looking forward to this, the beefed up version of S-gundam will surely look impressive. More on that later.